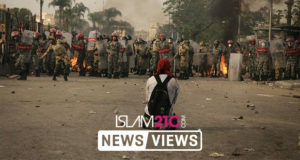 Islam21c literally stands for ‘Islam in the 21st century’ and the essence of Islam21c.com is to provide guidance and direction in the digital space. After 13 years of providing guidance and solutions we felt it was time to give Islam21c.com a fresh new look whilst renewing our commitment to articulating Islam in the 21st Century. We took a fresh look at our logo with the idea of encompassing a symbol of navigation and direction—symbolising our commitment to providing direction to Muslims in the 21st century by navigating the different challenges and opportunities they face, with the direction of prophetic guidance. Today we release our new logo after months of consultations and 100’s of revisions. The internet scene for Muslims has come a long way in the almost-13 years Islam21c has been around. Alhamdulillāh, you’ll find excellent websites for tafsīr. You’ll find many websites containing fatwās from the various schools of thought. There are many Muslim websites now discussing current affairs, politics, and news. By the grace of Allāh, Islam21c’s aim was, and continues to be, to bring together all these spheres—and more—that Muslims need not only to be aware of, but excel in, in order to truly be champions of Islām in the 21st century. It is easy for us to forget that Islām has been the single most influential phenomenon benefitting the human species since it ushered in a global change in thinking, governance, law, politics, spirituality, philosophy, and even commerce, over a thousand years ago. We invite you to join us and support the work of Islam21c. After the tawfiq from Allāh it is your support that empowers the growth of this project. You can become a supporter here. However, for those of us living in a world still recoiling from the trauma of European modernity, it is very easy to take for granted that Islām is something comprehensive and unique that the world owes a great debt to, as many knowingly or unknowingly try and force it into the “world religions” construct that emerged in the last century or so. As a result, Islām’s holistic nature is easily overlooked. We find many people and groups disproportionately focusing on a tiny slither of the spectrum of what Islam includes to the detriment of others. What really upsets me is seeing the political activist who completely ignores their connection with their Rabb; the talib al-‘ilm who memorises a lot of texts but takes pride in being ignorant about politics; the person who reads day and night about theological disputes from centuries ago but has no consideration for learning the akhlāq that the Prophet (sall Allāhu ‘alayhi wa sallam) himself claimed to be sent to perfect; the Muslim businessman who prays and fasts but ignores Allāh in his business…sadly the list goes on. It is this comprehensive nature of Islām as perceived from its own lens—its own discourse traditions as opposed to someone else’s—that we try to embed into our everyday ethos at Islam21c. One of the most important values and dimensions of Islam—and therefore Islam21c—is fostering a close, personal relationship between the slave and his or her Master. This entire cosmos was built upon the glorification of its creator, and every atom of the universe makes tasbīh. It is no surprise then that we try and interweave the glorification of Allāh into everything that we do. Thus is our approach to Aqīdah and theological topics. It is a shame that aqīdah has become synonymous with a set of academic, theoretical arguments about establishing certain truths. Whilst nurturing our minds is very important, our approach to aqīdah and theology is that it is a means to glorifying and venerating Allāh, so in our coverage we are very careful to nurture people’s īmān in the truest sense—not simply “fixing” people’s beliefs, but making sure our īmān is an active process of continually seeking to come closer to Allāh. This goes hand in hand with calling to Allāh and his Dīn in the best way possible—we take this obligation very seriously and try our best to bring experts in the fields of Da’wah, education and tarbiya to distil their expertise and experience for us all to benefit from. Many peoples and nations may think that they’re the best, but the unique thing about the Ummah of Muhammad (sall Allāhu ‘alayhi wa sallam) is that its being ‘the best’ is not linked to its ethnicity, lineage or any other factor, apart from what it does. One unfortunate consequence of the (often violent) secularisation of Muslim thinking in many parts of the world is that it has separated Muslims from their leadership role for humanity, relegating Islām to the private, personal sphere. We may not realise this, but we have absorbed some of these narratives like a sponge. Imagine seeing an ostensibly “practising” Muslim brother or sister being interviewed by a news channel—what do you expect them to speak about? Halāl meat? Madrassas? At a push, perhaps counter terrorism policy? But what about the NHS? What about Brexit? What about policing or education? This is why we are very careful to try and break these subtle restraints on our community’s thinking and discourses, that separate things like aqīdah, and the glorification of Allāh, from speaking out for justice and entering into political life. To the forces that are hostile to Islām and Muslims, the real threat is not the isolationist Muslim or group that wishes to separate itself from politics and focus on private acts of worship. Rather, despite the rhetoric to the contrary, it is those confident Muslims who integrate into all facets of the societies they are in, fully confident in their Islām and their duty to increase good and decrease evil, that poses a threat to those who thrive off the disempowerment of all people. And THIS is what earns you hostility and attacks from some of the most ignorant and jāhil sectors of society, which we are honoured to counter and defend against, providing a platform to those maligned due to their unapologetic “Muslimness”; to set the record straight, and go on the offensive against those that trade in everything from misdirection and misinformation to full blown lies and falsehood. So alongside creating devout servants and glorifiers of the Khāliq, we work hard in creating confident and articulate advocates for the rights of the khalq, who enjoin good and forbid evil wherever they are. We’ve always covered news on Islam21c, but we found an increasingly worrying trend develop especially with the recent explosion of social media’s influence on “news”, exemplified by the recent Cambridge Analytica scandal linked to Trump’s election and Brexit. As the old saying goes, the press don’t just tell you what to think, but what to think about. However, since Chomsky and Herman’s seminal research on mind control in the mass media, there have been earthquakes in the realm of news and knowledge production in the service of power, caused by the internet age. By AllĀh’s grace and then your forward-thinking support, we were able to expand our editorial team to include our own dedicated news department. I hope you’ll agree that it’s crucial to have a truly independent news source driven not by selling adverts or persuasion architecture to get ever cheaper clicks, but by the divine imperative towards truth and verification, with your long term benefits and interests at heart. We are building our team based on the ethics and divine values of orthodox Islām, that (inshāAllāh) we do not compromise despite what others do. I’ve personally discovered in doing this that there is a lot that goes into ‘news’, if you do it thoughtfully. For example, what to choose to report, what broader narratives and stereotypes you ossify or dispell, and so on. There’s so much power there and it’s about time we took it back from those who happily sell humanity’s and society’s long term interests for a few newspaper sales or ad clicks. If you truly want to follow someone, you not only do what they did, but you do what they would, had they been in your position and context right now. We are honoured at Islam21c to have a multitude of resources on the diverse teachings of the Prophet (sall Allāhu ‘alayhi wa sallam), but more importantly a scholarly treatment of how to apply that comprehensive and lofty sunnah in a 21st century context. The Qur’ān revealed to the Prophet (sall Allāhu ‘alayhi wa sallam) was literally the single most influential book in human history. But it has also been subject to great jealousy and hatred too from those whose corruption it challenged from the beginning. Shaytān gave up in trying to make Muslims at large reject it outright, so had no recourse but to make people see it as merely a ‘religious scripture’ like other religious scriptures, essentially subjecting what was once an objective process of discovering intended meanings of its āyāt, to the subjective whims and fancies of any reader, let alone producers of economic, political or cultural norms. We want to revive not only the superior epistemic framework and methodology that the Prophet (sall Allāhu ‘alayhi wa sallam) was given, but also encourage the richness and depth of his revelations to be dived into, extracting the limitless pearls behind the intended meanings behind every āyah and hadīth, rather than using it to justify any thought, practice or norm that happens to be in fashion. One of the challenges of articulating Islām in the 21st century is that many of us have grown up absorbing myths and stereotypes about our own identity like a sponge, thinking them to be universal truths. And sadly there is no shortage of collaborators who will happily ossify such stereotypes for a cheap dinar or dollar. All the pseudo intellectual “arguments” and desires to ‘fit in’ that Muslims suffer today are not cognitive, or actually intellectual; Allāh (subhānahu wa ta’ālā) has made the main aspects of the Dīn so clear and so intellectually robust from all angles for any objective person, that it rises to the top due to its own essence when seen on a level playing field. Tomes have been written across the centuries; entire encyclopaedias exist cataloguing the arguments against Islām, compiled by Muslim scholars. That is not something too worrying or that we are afraid of. But those are not really the cause of the identity crises that some people suffer, rather symptoms of a deeper spiritual and confidence issue, which sees many Muslims trying to fit into other people’s lifestyles, cultures, regimes of knowledge production. That is why one of our aims at Islam21c, our core values, is to revive your confidence in your skin as a Muslim. We try to do this in many ways. Connecting Muslims to their legacy throughout time, with our history articles, and throughout space, connecting Muslims to broader narratives with their brothers and sisters all around the world. Likewise, by strengthening the Muslim family, the Muslim society, and society at large; so we take things like tazkiya (spiritual purification and growth) very seriously, as well as the superior akhlāq of the best of creation (sall Allāhu ‘alayhi wa sallam). We try our best to tackle those topics that people need but may not find confident and intellectually robust discourses for, as a means to nurturing a strong and confident Muslim community. Islām can thrive anywhere – it’s not something that was implemented just once many years ago, it’s implemented now, here—wherever we may be—in every day of our lives. As such Muslims can flourish wherever they are. We believe it is time for Muslims in the 21st century to be the authors of their own narratives, rather than characters in someone else’s story. And we are grateful that you are right alongside us, taking this journey and supporting others doing the same.